Southfield, MI – The last time I got Jerusalem Pizza, I opted for the Mexican version. This time my taste buds went north, for a taste of The Alaskan. 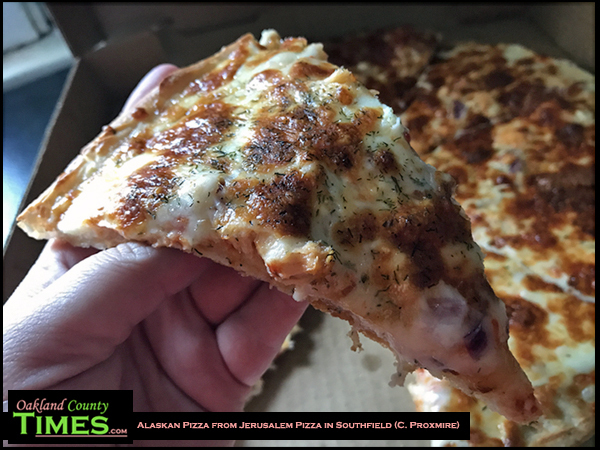 The Alaskan is the kind of pizza that leaves the corners of your mouth tingling with anticipation for the next bite. Even now, writing this much later, my mouth is watering. 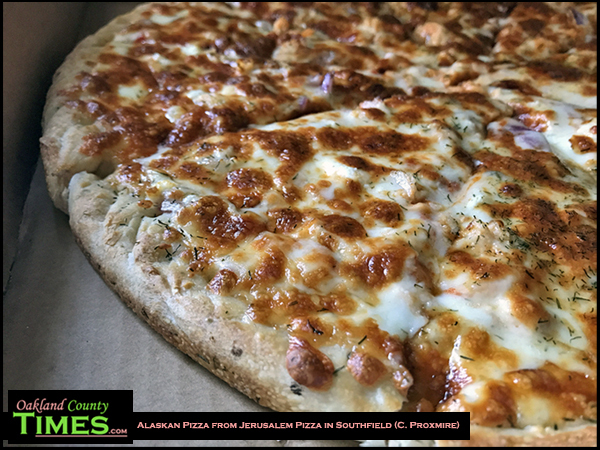 The toppings on this delicious kosher crust are pizza cheese, feta cheese, olive oil, red onions, pizza sauce and salmon filet. (It also comes with tomato, but I had mine without). 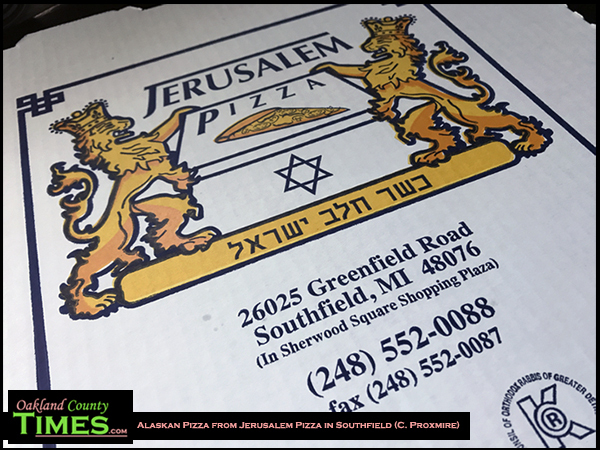 Jerusalem Pizza has a tiny spot in a shopping center at 26025 Greenfield in Southfield near I-696. In the mornings they bake bagels, which are also fantastic. For lunch and dinner there are a variety of pizza pies, as well as sandwiches, salads and side items. All are prepared kosher under the supervision of Council of Orthodox Rabbis of Greater Detroit. For other Reporter Food columns, go to http://oaklandcounty115.com/category/food-blogs/.